The Galapagos Islands is one of the most incredible places to visit: to behold wildlife unafraid of human interaction and the rare and wonderful flora that abound the islands is truly spectacular. But en route to the Galapagos Islands are some equally special places that often get overlooked: the wonderful and varied mainland Ecuador destinations. One of Knowmad’s favorite things to do when planning trips to the Galapagos Islands is to supplement the trip with a few days or more in Ecuador’s mainland, which is sure to capture every traveler’s heart. Visiting Ecuador can be one of the most fulfilling trips a traveler can take. Ecuadorians say that when God created the world, there was a little bit of everything left over and so it all went into Ecuador. From mountains and volcanoes to jungles, cloud forests, and beaches, and with bustling city life, colonial towns, and rich cultural traditions, Ecuador is a one-of-a-kind destination. And while it may physically sit on the center line that runs through the world, Ecuador certainly taps into those central things that make life so magical. And Ecuador is also one of the more accessible South American countries to visit budget-wise, making it a great destination for families, couples, and groups of friends! WHICH ECUADOR DESTINATIONS SHOULD YOU VISIT? Being the capital of Ecuador, Quito is certainly a hub for connection throughout the country, but it’s also a beautiful city to explore, one full of colonial architecture, vibrant artwork, and mountain views. In fact, Old Town Quito is such a unique destination, that it was one of the first UNESCO world heritage sites in the world. Most travelers will need at least one night in Quito before flying onward to the Galapagos, but consider adding a second night so you have a day to fully explore this city. Plus, a buffer day in this Ecuador destination between your international flight and your flight out to the Galapagos often times makes your trip more relaxing. Favorite Accommodations: Knowmad suggests staying in Old Town Quito where you’ll be situated amongst the colonial architecture, beautiful plazas, and cobblestone streets. Casa Gangotena, Hotel Plaza Grande, Patio Andaluz, and La Casona de la Ronda are a few of our favorites. Recommended Length of Stay: 2 nights. Great For: Colonial architecture, a visit to the nearby equator, and day trips to other regions. The cloud forest and lowlands to the northwest of Quito make for a great day trip or a beautiful stay for 1 or 2 nights. Explore the colorful scenery of the cloud forest as you spot some of the over one hundred types of hummingbirds around, and take in one of the most biodiverse areas per square unit in the world. Two of the forests you can journey through are Mindo and Bellavista for a refreshing activity. Favorite Accommodations: Mashpi Lodge is an incredible luxury lodge. If on a tighter budget, Bellavista and El Monte are two more fantastic options. Recommended Length of Stay: While you can do a day trip or 1-night stay to some areas of the cloud forest, 2 nights is an ideal duration, especially if making the 2 ½ hour drive to Mashpi Lodge. Great For: Nature lovers, bird lovers, and those interested in lighter activity level options. Otavalo is home to one of the largest indigenous markets in Latin America, making it a great place to visit if you’re looking to experience authentic Ecuadorian culture. 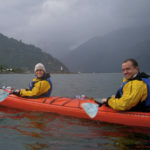 You can also do a variety of different activities in this Ecuador destination that draw from the traditions and heritage of the country, such as taking a cooking class, visiting an embroidery or weaving workshop, or hiking, biking, or horseback riding through the stunning outdoors. The haciendas in this region are some of Knowmad’s favorite places to stay, with self-guided hiking, horseback riding, biking, unique cultural experiences, and cozy atmospheres amongst mountains available at the different haciendas and lodges in the area. Favorite Accommodations: Hacienda Zuleta is a unique and authentic hacienda, great for those looking to explore the many on-site, self-guided hiking trails, horseback rides, and more, and there’s also a condor rehabilitation center there, as well. Hacienda Cusin is a bit more budget-friendly and closer to the Otavalo market, although has less to do on-site. Casa Mojanda is a very friendly and cozy mountain lodge with stunning views of the region. Recommended Length of Stay: Day trips from Quito to the market can be arranged, but to do more hiking or other activities in the region, we suggest at least a 1-night or 2-night stay. For the right travelers, an extended stay of 3 nights or more in this region can also be great. Great For: Culture lovers, both active and non-active travelers alike, beautiful landscapes, horseback riding, and self-guided hiking options. With activities from mountain biking to hiking volcanoes, Cotopaxi National Park is the place to go if you’re looking for adventure in Ecuador! The park offers a wide variety of options for travelers to explore its many highlights. Weather permitting, snowcapped Cotopaxi Volcano will be your backdrop, along with several other surrounding mountain peaks and majestic wild horses running in the distance while you explore. Due to its higher altitude, Cotopaxi National Park is best done after at least 1, preferably 2, nights in Quito or Otavalo first. Favorite Accommodations: At San Agustin de Callo you’ll sleep amongst ancient Incan walls and then wake to views of Cotopaxi volcano on a clear morning. Hacienda El Porvenir and Chilcabamba Lodge are two very cozy and less expensive options close to the park, also with views of the volcano. Recommended Length of Stay: 1 or 2 nights. Although, if just interested in seeing the park, Cotopaxi Volcano, or a shorter hiking excursion, day trips can be arranged. Great For: Adventure seekers, active travelers, and beautiful landscapes. The Amazon Jungle makes for a great extension trip, and only involves a short, 45-minute flight from Quito to get there. Explore the depths of the jungle alongside expert guides, visit some of the best clay licks in the country, discover a lake by dugout canoe, and much more as you search for wildlife. 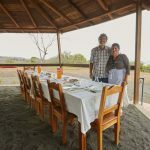 Favorite Accommodations: Napo Wildlife Center is a very nice Eco-Lodge that has you really feeling in the depths of the Amazon while still enjoying the comforts of a nicer lodge. Recommended Length of Stay: 3 nights, minimum (due to the flight involved). Great For: Visiting the Amazon Jungle, nature and wildlife lovers, and Amazonian culture. Cuenca is also a short flight from Quito, around an hour, and a beautiful city to visit for experiencing Ecuadorian culture and to see more of the colonial influences in the architecture. Walk the cobblestone streets as you pass by the beautiful buildings, or visit small artisan towns a little ways outside the city and explore small guitar, leather, and jewelry workshops. Favorite Accommodations: Mansion Alcazar is the nicest property in Cuenca, and Santa Lucia is another fantastic option and a step down in price. Recommended Length of Stay: 2 nights, minimum (due to flight involved). Although, it is also possible to drive to Cuenca from Guayaquil (about 4 hours), or you could include a stop in Cuenca if driving along the Avenue of the Volcanoes. Ask our Ecuador Trip Specialist for more information on that route! Great For: Colonial architecture, city lovers, and culture lovers. Adding on an extension of 1 or 2 nights in these mainland Ecuador destinations can make your trip to Ecuador or the Galapagos Islands even more extraordinary, and with so many places to explore, Knowmad specializes in crafting custom trips to Ecuador so that each portion of your adventure is special. Still not sure where the best destination is for you, or ready to get planning? 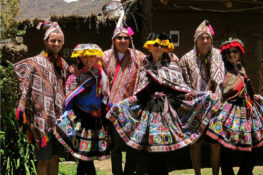 Give our Ecuador Trip Specialist, Renee, a call today at 612-315-2894 ext. 105, or email Renee@KnowmadAdventures.com. 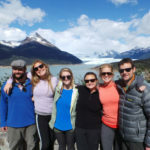 Renee is a Trip Specialist at Knowmad Adventures, a company dedicated to creating unique, private and custom trips in South America. She lived in Mexico for over 3 years and is excited to help Knowmad travelers discover the wonderful impact not just travel, but really experiencing a different country and culture can have on your life. Read Renee’s biography and more about the Knowmad team.